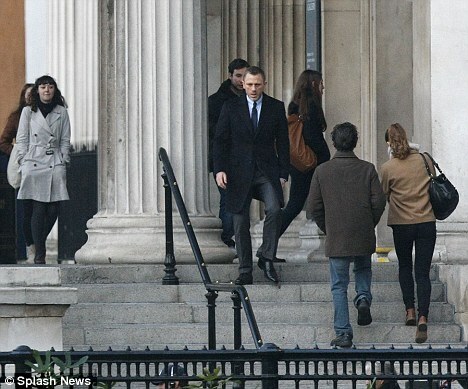 The First Set Images of Daniel Craig as 'James Bond' in 'SKYFALL' reveal he looks exactly the same! 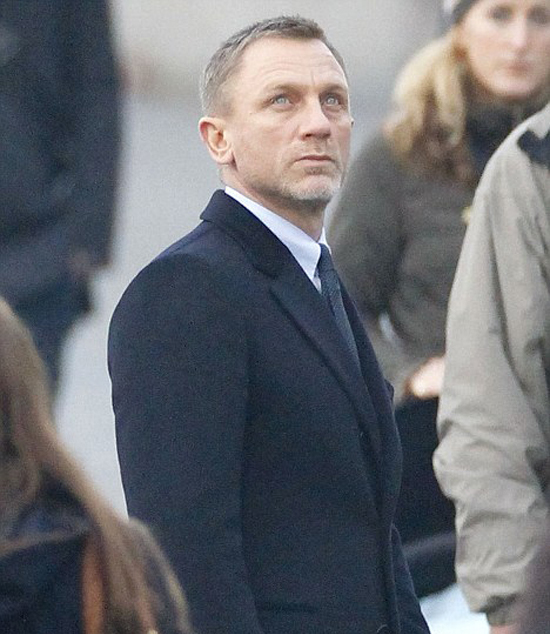 The 23rd 'James Bond' film Skyfall is currently shooting in the UK. Today some set images of Daniel Craig on set in London's Trafalgar Square have emerged online. Sam Mendes is direcing the film that also stars Javier Bardem, Dame Judi Dench, Naomie Harris, Berenice Marlohe, Ralph Fiennes, Albert Finney & Ben Whishaw. In Skyfall, Bond's loyalty to M is tested as her past comes back to haunt her. As MI6 comes under attack, 007 must track down and destroy the threat, no matter how personal the cost. Hit the jump to check out the images. 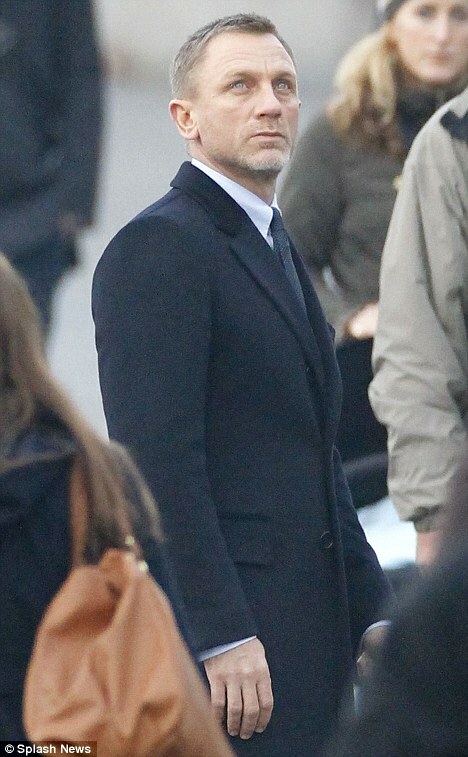 Skyfall hits theaters October 26th 2012. 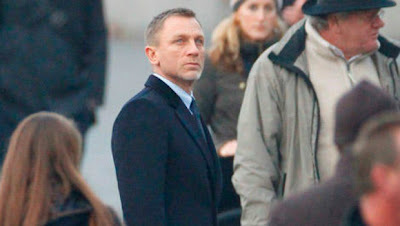 I'm reading: The First Set Images of Daniel Craig as 'James Bond' in 'SKYFALL' reveal he looks exactly the same!Tweet this!